As the GEF approves its new Gender Policy, UN Environment is confident that its projects can champion the GEF dedication to gender equity in its programming, breaking new ground on gender in environmental projects and demonstrating good practices all partner agencies can share. While working towards gender equality may be business as usual in many countries, in much of the world massive disparities in education, empowerment and opportunities remain a daily reality for women and girls. Just one example is Mozambique, where a recent analysis highlighted these challenges. The gender analysis, undertaken for a UN Environment/GEF Least Developed Countries Fund project in climate change adaptation, revealed illiteracy levels amongst women of 64.1% – almost twice that of men. Meanwhile, women shoulder the greater part of the labour burden in the nation’s agricultural industries, making up over 97% of the work force, but have relatively little power in its operations, making up only 25% of land owners and 11% of the country’s agricultural extension workers. 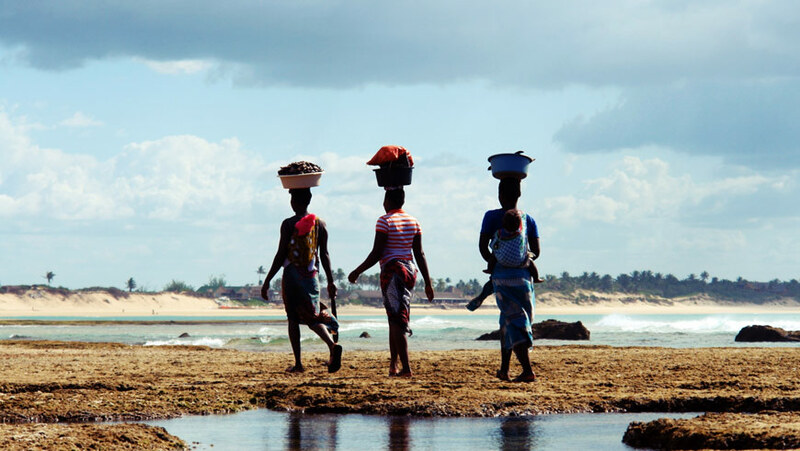 Climate change is further threatening women’s development path in Mozambique, with the study revealing early marriage as a common coping strategy in times of drought. “When gender inequalities are so obvious, a business-as-usual approach will surely lead to exclusion and further marginalization of women,” says Victor Tsang, Gender Officer at UN Environment. One of the driving forces behind UN Environment’s rigorous in-house gender mainstreaming approach, Tsang sees UN Environment as having embarked on an ambitious journey to “shift its emphasis from analysis to action, and from action to results”. The GEF implementing agency now applies its Gender Marker to ensure minimum standards in all its projects. In line with the renewed ambitions of the GEF’s new Gender Policy, and guided by UN Environment’s own Gender Policy, the Gender Marker sets out four criteria to evaluate project success in mainstreaming gender. Only if a project meets all four of these criteria – having conducted a gender analysis, developed gender actions, included gender indicators and specified budget allocations for gender actions – is it considered to have well-mainstreamed gender considerations. A coding system reflects projects’ success in mainstreaming gender. Projects that meet all four criteria receive a rating of two, while those that only partially meet the criteria receive a rating of one. Projects that meet none of the criteria receive a rating of zero and are not recommended for approval, making a rating of one or above a minimum standard for UN Environment initiatives. By December 2016, 100% of UN Environment projects had received rating of one or above, while almost half (47.1%) were fully mainstreaming gender considerations. According to Tsang, budget allocation in particular has proven vital in reaching – and sharing – results. “Among the four Gender Marker criteria, budget allocation is the best way to guarantee gender actions and indicators can help reflect the gender work in project reports,” he says. Tsang says the agency aims to have all of its GEF projects fully mainstreaming gender (gender marker score of 2) by 2018. With the Gender Marker now in place, UN Environment’s team are taking on the challenge of reaching beyond its targets, mobilizing in-house gender experts to carry out full-scale gender analyses, develop gender action plans, and raise government awareness and ownership of gender considerations in project development and implementation. Good and positive note on Mozambique !